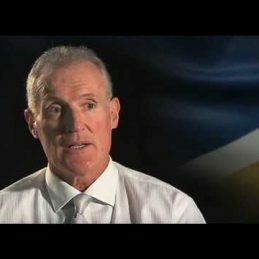 Ross Glendinning played in a remarkable 13 Finals matches across a VFL career spanning 230 games, including an elimination final in his second year as inaugural captain with the fledgling West Coast Eagles. That year, 1988, and that match, would also be Glendinning’s last. It was ten years earlier, in his first season playing with North Melbourne when the dashing 22 year-old West Australian had his one and only shot at premiership glory. Alas, it went unfulfilled in an untimely twist of fate thanks in part to the refusal of his original club East Perth, to let him head east a year earlier to pursue his dream. Glendinning joined North Melbourne from East Perth in the West Australian Football League (WAFL), in 1978. The Kangaroos had attempted, unsuccessfully, to lure Glendinning across the Nullarbor for the 1977 VFL season, and while Glendinning was keen on the move, East Perth refused to clear him. North Melbourne won the Grand Final, against Collingwood while Glendinning, staying in Perth, played in a losing Grand Final with his hometown team. Glendinning did eventually head east to join the Kangaroos the next year, playing in a VFL Grand Final. However, in a thrilling encounter before 101,704 spectators at the Melbourne Cricket Ground, the Kangaroos were defeated by Hawthorn. It was a particularly bitter pill for Glendinning and his teammates to swallow. North Melbourne had finished on top of the ladder ahead of Hawthorn at the end of the home-and-away season only to go on to lose the Grand Final by just three goals. A nimble yet solidly-built and imposing player, Ross Glendinning was known for his ability to win possession of the ball in defence and in attack, and he was equally capable of playing up either end of the ground. A natural athlete, he maintained consistent form throughout his career, right up until his last season when, after returning home to Western Australia, he was the West Coast Eagles’ leading goal kicker. Even today, 25 years after hanging up the boots, Glendinning is perhaps one of the most highly decorated and revered figures in AFL football, certainly amongst the North Melbourne and West Coast faithful. One of Western Australian football’s favourite sons, Glendinning is an inductee of: the Western Australian Hall of Champions (1994); the Australian Football Hall of Fame (2000); the West Australian Football Hall of Fame (2004); and the North Melbourne Hall of Fame (2012). Glendinning was also named at centre half back in both the North Melbourne Football Club Team of the Century and East Perth’s official Team of the Century, 1945 to 2005. The Ross Glendinning Medal is named in his honour and is awarded to the player judged best afield in the West Australian derby between the West Coast Eagles and Fremantle Dockers each AFL season. At the top of his list of individual honours, is the Brownlow Medal which Glendinning won when at the peak of his powers in 1983. The most prestigious individual accolade in Australian Rules football, the Brownlow is awarded to the league’s fairest and best player as determined by the umpires who vote on the best three players of every match throughout the season. For a bloke who has achieved so much in football, Ross Glendinning is a humble man. Speaking of his Brownlow win he’s quick to acknowledge 1983’s other contenders – legends of the game like Essendon ruckman Simon Madden, Hawthorn’s Terry Wallace, Richmond’s Maurice Rioli and Essendon captain Terry Danniher. When speaking with Glendinning for the first time, one is immediately struck by his amiable and engaging manner and his optimistic outlook. “Good as gold” is a phrase he uses liberally. But, while he reflects on his Brownlow triumph with pride, that marvellous achievement provides only minor comfort for the premiership medallion he strove for but never attained.